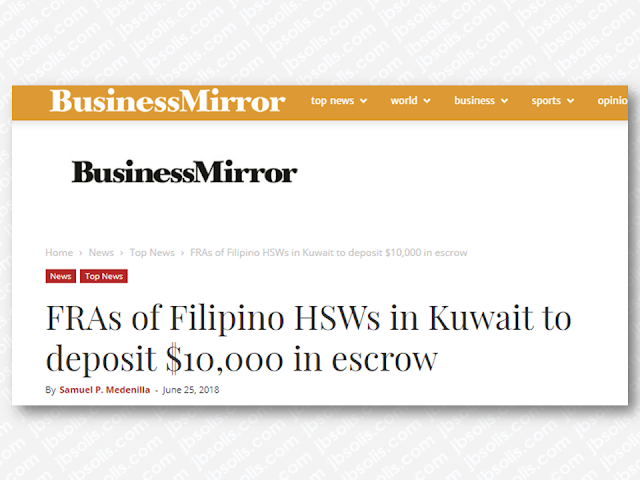 Foreign recruitment agencies (FRA) who hire overseas Filipino workers (OFWs), household service workers (HSWs) in particular, to be deployed in Kuwait will be required to pay an escrow deposit amounting to $10,000 (Php536,605.00) to ensure the protection of OFWs in the Gulf state. 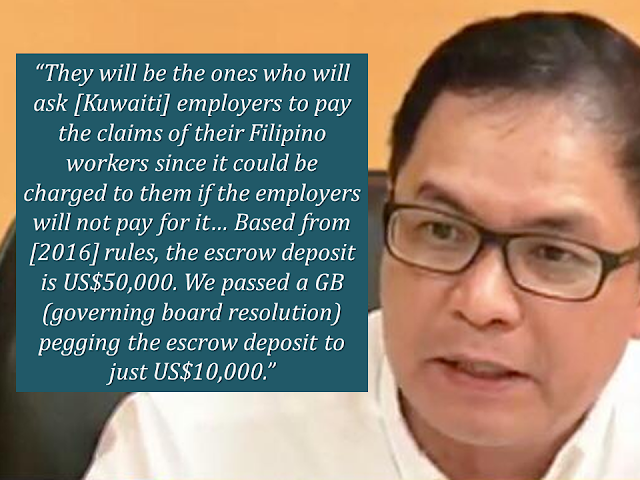 The new rule, which is included in the guidelines released by the Philippine Overseas Employment Administration (POEA) on hiring and deployment of OFWs to Kuwait, requires foreign recruiters to pay an escrow deposit which would serve as a cash bond that will serve as a payment for OFWs in case their employers would refuse to pay for their service. This rule is expected to force FRAs to monitor the status of OFWs they deploy. POEA administrator Bernard Olalia explained that the 2016 POEA rules state that the escrow deposit should be $50,000, however, it was reduced to $10,000. 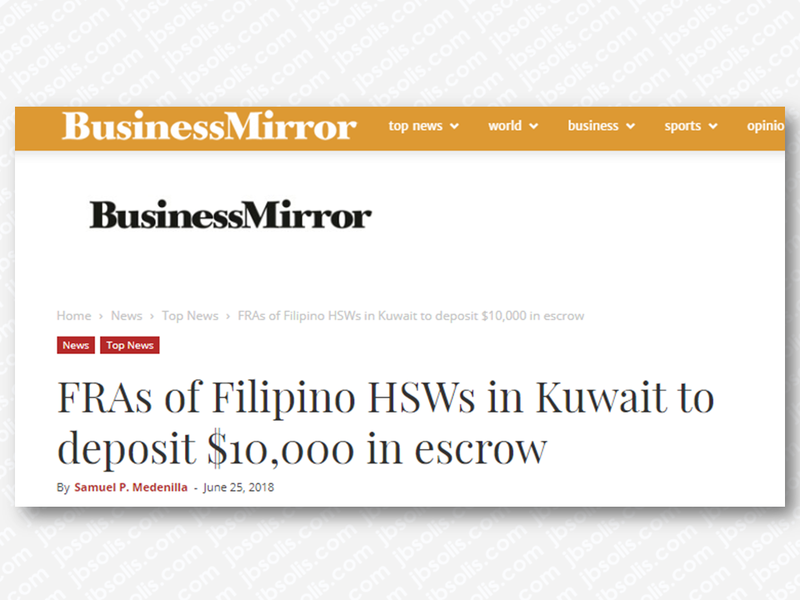 The POEA Welfare and Employment Office will monitor if Kuwaiti recruiters and employers follow the rules included in the guidelines and the signed Memorandum of Understanding (MOU) between the Philippines and Kuwait. 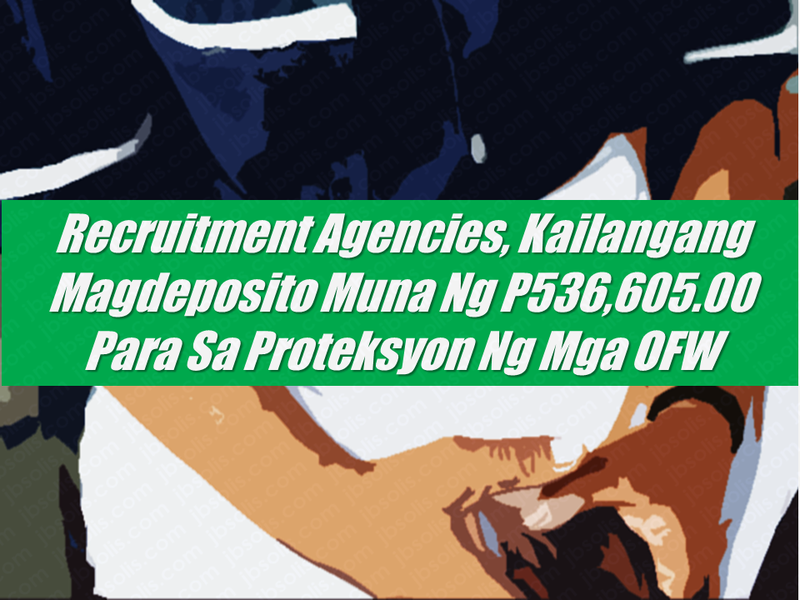 Olalia also added that recruitment agencies in the Philippines will be required to pay an escrow deposit as well separate from the FRA’s. Following the signing of the labor deal between the Philippines and Kuwait that seeks to protect the welfare of OFWs in the Gulf state, this guideline is also released.